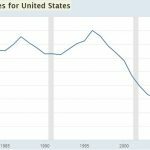 Is US Housing About To Explode In Value? If you think about it, demographic changes explain a lot of the movement in asset prices. The technology bubble in the 1990s was boosted by baby boomers who were in their peak spending age and had a significant sum of money to speculate with. In 2000, at the height of the tech bubble, the biggest cohort of baby boomers was ages 38-42. 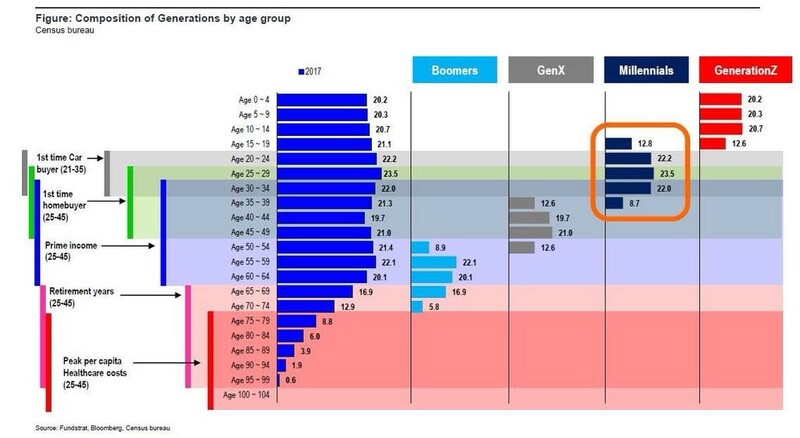 Now we see the cryptocurrency bubble sprouting as the biggest demographic group, the millennials, with the biggest cohort between the ages of 25-29. Some believe the high Shiller PE in the past 25 years is related to the size and wealth of the baby boomer generation. Most of this generation is now nearing the end of their working life which means they have the most to invest. The chart below shows the net wealth of all generations. While the baby boomers wealth might peak in 12 years, the fact that many are retiring is disconcerting for stock investors as baby boomers shift to less risky investments after retirement. This isn’t a market timing mechanism; it’s a device to understand where valuations are headed in the long term and potential periods for bubbles to form. While the age at which people may be the most predisposed to speculate may be somewhat vague, the age people buy a house is more certain. Despite the ages of young people moving out, having kids, and buying a house increasing, it’s still predictable; just add a few years to the age at which baby boomers made those life choices. This is just like how baby boomers are retiring later in life which may be boosting equities because they are at the peak of their wealth. Their portfolios will shift to being conservative after retirement. 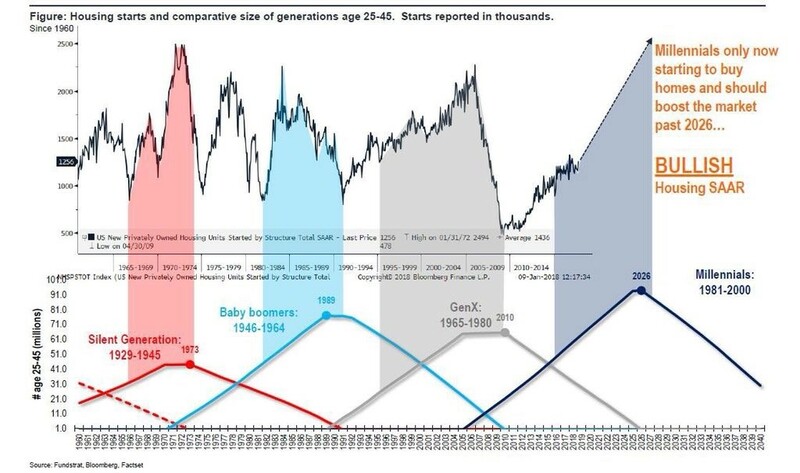 The chart below compares housing starts to the number of people in each generation that are between the ages of 25 and 45. It’s amazing to see demographics in action as the peaks in housing starts correspond almost perfectly to the peaks in generations. 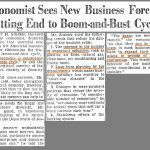 The last cycle was clearly impacted by speculation in housing, government intervention in the mortgage market, and low interest rates. Those factors created a more pronounced boom and bust cycle, but the fact that generation X bought fewer homes during those years also played a part in the decline in starts. The valuable part of this chart is the right side which shows that millennials are starting to buy homes now and should boost the housing market until 2026. Like we mentioned, millennials making key life decisions later, pushes their housing purchase a few years off, but it still will probably be occurring en masse in the next decade. 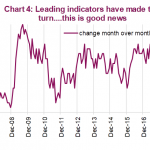 Home building stocks might be the play on this. However, it’s challenging to lump retailers into this category to invest in based on this trend because their performance in the long term might be more a function of their ability to ward off online competition. The chart below provides greater depth to the discussion about when each generation will be making major purchases. The blue bars are the number of people in each 4 year age group. The left side shows the ages when major financial life cycle milestones are hit. The right side shows the number of people in each range that are in each generation. The biggest group of baby boomers is 55-59. That means they are still in their prime income earning years and still may have a lot of money invested in stocks. The next 10 years will see most baby boomers retiring. 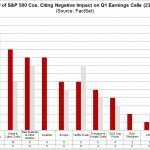 We’ll see if their personal financial decisions affect the long term trend in equity valuations. Generation X might not be able to make up for the baby boomers taking money out of stocks because generation X is smaller and has less wealth. 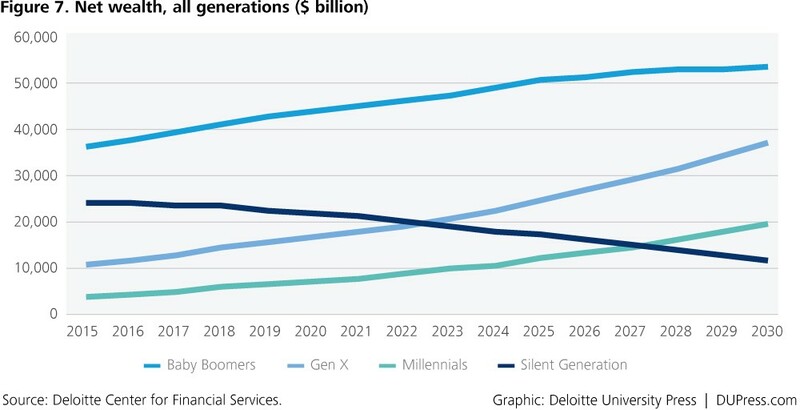 According to the first chart in this article, generation X will have about $38 trillion in assets in 2030 assuming there isn’t a major recession. That’s a little behind the pace baby boomers were on at the time they were that age. While generation X was hurt by the housing bubble, most in the top 10% have recovered their losses; the top bracket is where most of the wealth is controlled. Since millennials are just coming of age they are now buying their first cars and houses. They are also starting to enter their prime earning years. This could boost demand for cars and houses if their tastes are like previous generations. Besides the changing tastes millennials have, the biggest counterpoint to getting excited about the demand millennials will drive for various products, investments, and services, is the indentured servitude that are student loans. The situation looks bad according to the latest calculation by the NY Fed which shows 11.2% of student loans are 90+ days delinquent. That’s near the 13.7% delinquency rate on credit cards in 1H 2010 and higher than the 8.9% delinquency rate on mortgages in Q1 2010. The scary part is student loans delinquencies have been above 10% every quarter since Q3 2012. The chart below shows how the situation could get worse. 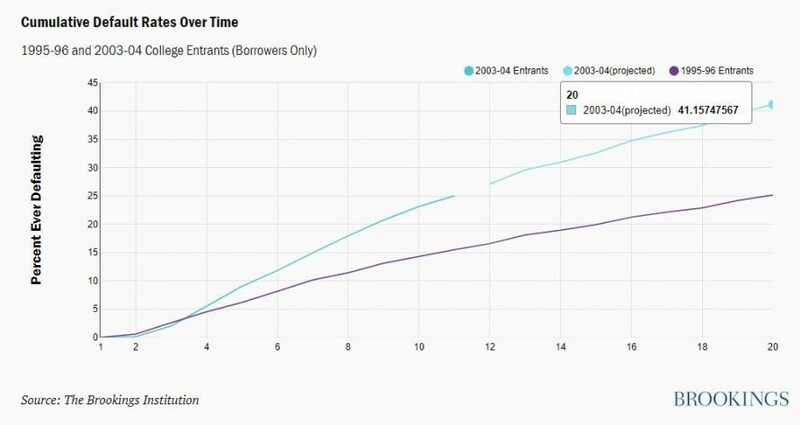 The college entrants in 2003-2004 have a dramatically higher default rate a few years after graduation than those who entered college in 1995-1996. This all should cause investors to temper their enthusiasm for the millennial generation. Savings in your 20s and 30s is what helps wealth compound by the end of your prime working years. It’s tough to do that when you graduate indebted. The interplay between financial asset prices and demographics is quite important to study. Don’t leave your investment process in the dark by stopping at that though. Previously we reviewed how demographics imply that interest rates will rise, which is another factor to consider when examining the housing market. Studying other trends along with demographics can set your process apart from everyone else who follows headlines. For example, millennials might be a great reason to expect housing starts to pick up, but a mitigating factor is student loan debt, or a threat of rising interest rates which would affect financing costs for mortgages. We attempted to set the stage for how all these factors will play out in the coming years in this article, but will certainly continue to follow-up on this topic with various counterpoints.